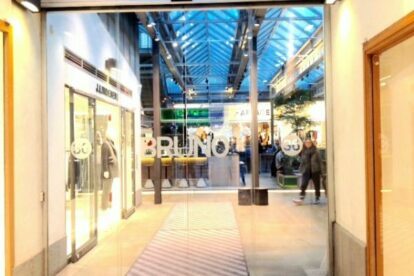 At the very top of the famous hipster street Götgatan you’ll find Brunogallerian – a small mall when it comes to size, yet rich in its range. Besides eight boutiques of fashion brands like APLACE and Whyred, the Asian-inspired restaurant Ljunggrens is located here, famous for their sushi first and foremost. During summer time though, their open air terrace bar is a perfect end of a shopping spree! Inside Brunogallerian is also the newly opened café and restaurant Råbaren (The Raw Bar), offering raw food dishes for breakfast, lunch and dinner. And to everyone’s delight: it becomes a bar in the evening! Club nights are hosted every now and then – sometimes with great live performances, but mostly various DJs. So whether you’re in a shopping mood, love sushi as much as I do, or feel like putting your party hat on – you can always come to Bruno.